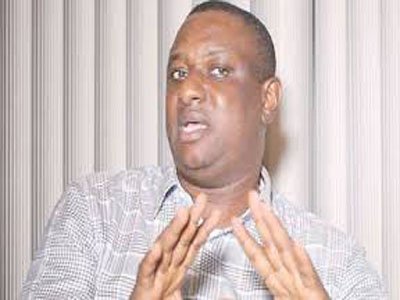 The Director of Strategic Communications, All Progressives Congress (APC) Presidential Campaign Council, Festus Keyamo, said Nigerians must vote for President Muhammadu Buhari in next monthâ€™s election because he has delivered on his promises. Keyamo, who spoke at the launch of APCâ€™s Next Level in Ghana, said the Buhari administration had surpassed expectations, as it awarded N58 billion contract for the dualisation of the Calabar-Itu Road, as well as the rehabilitation of the Lagos-Ibadan Expressway. In a statement, Keyamo also listed the ongoing construction of the second Niger Bridge, the implementation of school feeding programme across Nigeria, employment of cooks and food suppliers, feeding millions of children daily, among others, as some of the achievements of President Buhari. He said under the PMBâ€™s N-power, millions of unemployed graduates were paid N30,000 each every month, in addition to the prosecution of corrupt government officials by the Economic and Financial Crimes Commission (EFCC). The launch was chaired by the APC Ghana Chapter Chairman, Mr. Charles Micheletti, who urged Nigerians to re-elect President Buhari. At the event was the Personal Assistant to the Senior Special Assistant on Media to the President, Alhaji Yayah Ibrahim, among others.